You’ve been busy, and you don’t want to go out and spend a heap of hard earned cash on Christmas whims that last but 2 weeks at best. So we’ve searched around and come up with some last minute festive deco ideas that hyggify your home with a christmassy undertone. Sometimes you just have to go with ideas that stick to budget, can be made at home with everyday materials or, fork out a little more for stylish touches that can be used throughout the cold seasons regardless of the festivity. If you’ve failed to erect a Christmas tree this year or just want an extra touch for your outside space, this is a funky idea. Got any unused wooden pallet crates lying around? Or know someone who does? Turn them into a unique rustic-style christmas tree with a bit of DIY elbow grease. In fact, you don’t even need to cut the tree shape out of the pallet, you can simply paint a feathery tree shape directly onto the pallet and pin desired ornaments into place. This is more realistic if you don’t have access to a saw. I really love is idea because none of your family, neighbours or friends will have thought of it. It’s super cheap and an awesome way to recycle, and ends up looking really good, not like a last-minute hack job. 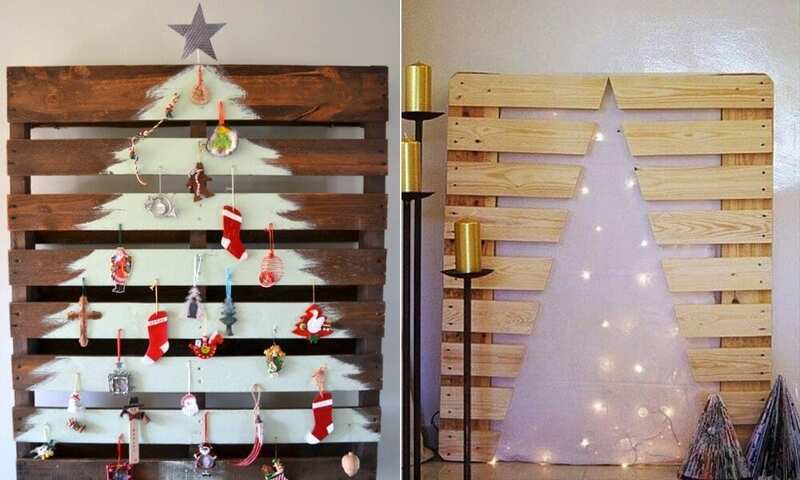 Turning a blank pallet into a Christmas decoration allows you to get really inventive and add your personality to the project. It will complement any wooden furniture or features in your living space and will be admired by any who enter your now Christmassy domain. If you’re living close to pine populated areas, and notice they’re shedding their beautiful woody conicals, it’s time to get collecting! 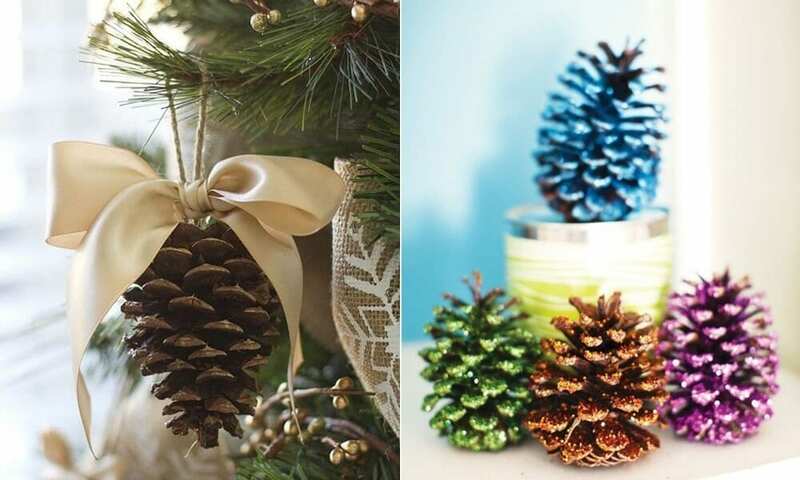 Not only is that a reason to get out amongst the trees in nature, but pine cones can be used to make so many different festive decorations. 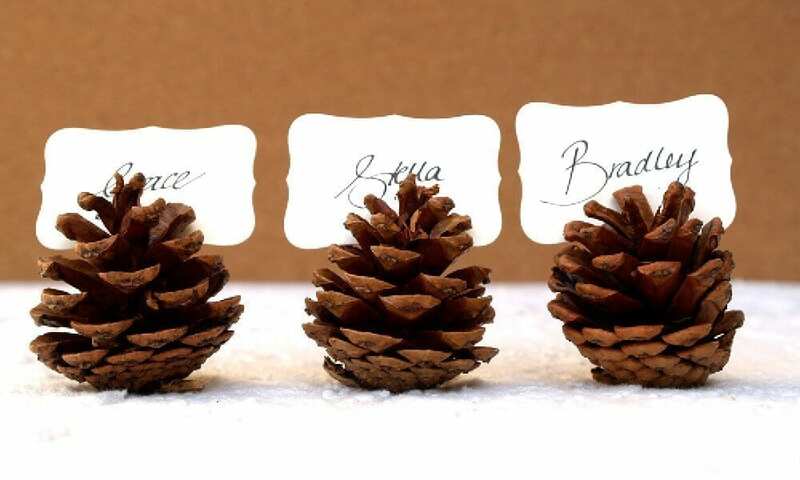 Collecting pine cones is a fond childhood memory, and suitable for children of any age. 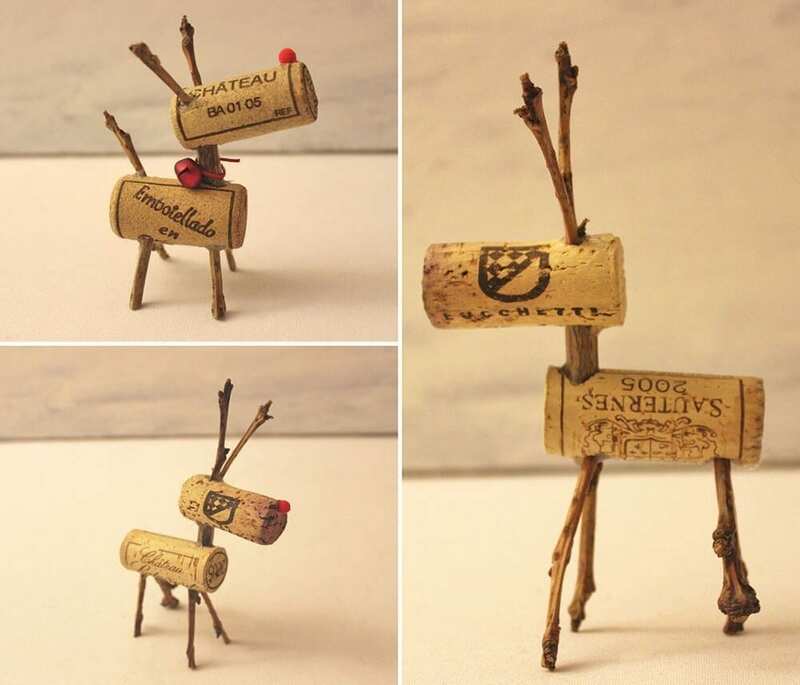 Once collected, they can be used as fire starters, painted pieces, hanging ornaments and table placements. It also doesn’t matter whether they’re open or closed when you gather them, as a few days in front of a warm fire or heat source will get their scales to open up fully. This can also be interesting and interesting activity for children to observe and monitor, almost like the excitement of waiting for an egg to hatch. Candle holders are usually not cheap, especially the pretty glass ones. Festive candle holders are even more steep, and only brought out once a year. If you’re on a budget and don’t mind getting a bit crafty, why not spruce up some glass jars lying around in your kitchen? (ideally mason jars). 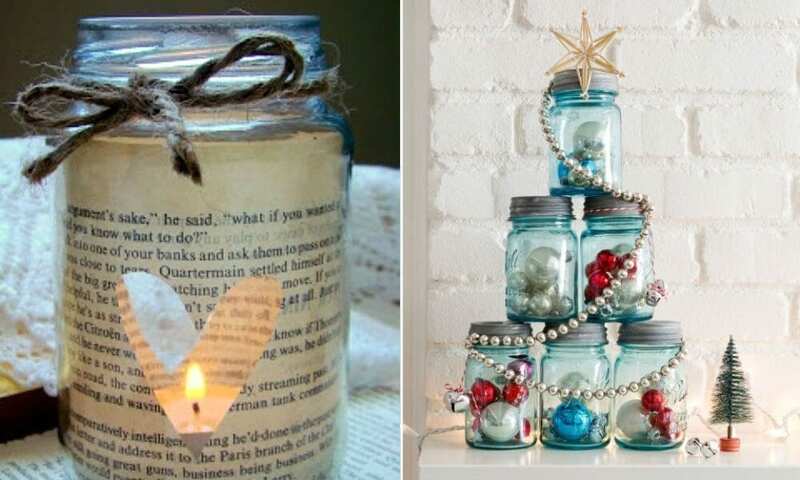 Repurposing jars as candle holders can create the cutest light holders you’ve ever seen. A really pretty way of displaying them is by filling each jar with water so the tea light floats right at the top. The jar itself can be decorated in as many ways as you can think of, depending on what you have available. Let your imagination run riot! Gold stickers, some tinsel around the base, a beaded rim at the top made from a bracelet, a simple red ribbon tied around the middle in a cutesy bow, or nestled amongst some pinecones. Festive deco doesn’t have to be complicated! Even if you don’t drink alcohol, chances are that most of your friends or neighbours will do, and there will likely be an endless supply of corks on hand. Grab some twigs, or sections of pine and start creating! Fun tip: Googley eyes and felt can make everything funnier.